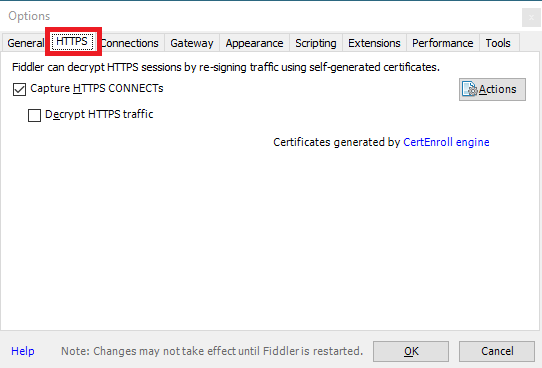 Use the instructions below to install “Fiddler” and check your PC for TLS 1.0 traffic to PayPal. 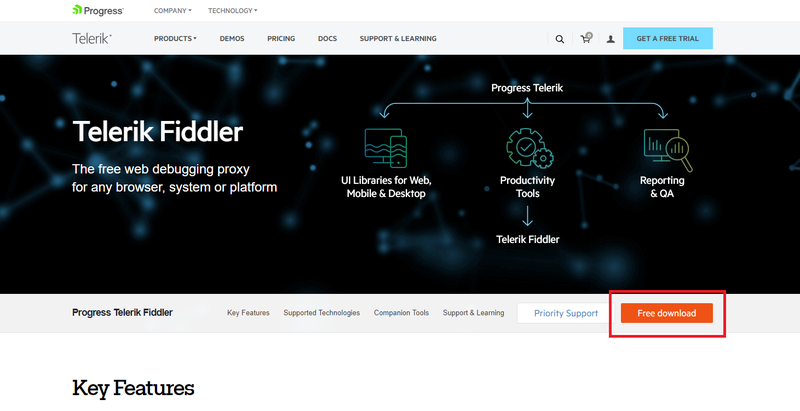 Go to https://www.telerik.com/fiddler and click the “Free Download” button. On the next screen select Security Testing, and then enter your email, country and state/province. Lastly accept the Fiddler End Use Licence Agreement and then click Download for Windows. Once the download is complete browse to the location of the downloaded file and rick click on it and select Run As Admin. During the install keep all of the default settings. Once the install has complared click the Close button. Under the Start Menu in Windows look for Fiddler 4 and select it to open the application. Once Fiddler is open go to Tools>Options. In the Options window select HTTPS. 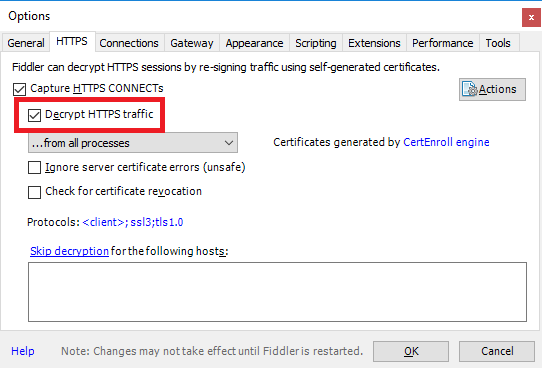 Click the checkbox for Decrypt HTTPS traffic. You will receive two popups. On both popups select Yes. Open Stone Edge perform a credit card transaction. Once complete switch back to Fiddler. In Fiddler look in the Session List on the left hand side of the screen for an entry related to PayPal. In my test I used Paypal Payflow Pro as my gateway. Double click on the entry and then look to the right hand side of the screen for a tab titled TextView. Under this tab it will display the version of TLS being used in the request. If TLS 1.2 is displaying you should be good. If not verify in Internet Explorer under Tools>Internet Options>Advanced that Use TLS 1.2 is enabled. Once complete you can uninstall Fiddler by going to the Start Menu in Windows then to Settings>Apps and look for Progress Telerik Fiddler. Select it and then click Uninstall.